﻿ Disclosure - 1E1981 Sports Shop -- Online Shopping Global Delivery. 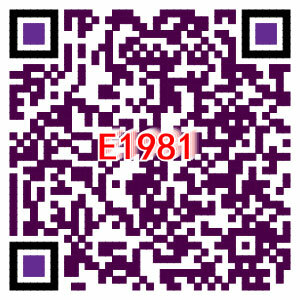 All design logos appearing on this site (site materials) are the exclusive property of e1981 China Limited. As such, e1981 owns all right, title and interest in the Logos, including but not limited to, copyright, trademark, service mark, trade dress, moral rights, rights under any statutory protection of fine arts, and otherwise, as applicable. Waive, release and hold harmless e1981, vendors or customers from any claim or liability based upon our printing or provision of any materials to any other customer of e1981 containing a Logo similar or identical to a Logo selected by you. All the e1981 members have right to upload the photos and videos while you place a review. All postings, messages, texts, files, images, photos, videos, sounds, or other materials ("Content") posted on, transmitted through, or linked from the service, are the sole responsibility of the person from whom such Content originated. More importantly, you are entirely responsible for each individual item ("Item") of Content that you post, email or make available via the service. e1981 does not control and is not responsible for Content made available through the service, and that by using the service; you may be exposed to Content that is offensive, indecent, inaccurate, misleading, or objectionable. Furthermore, the e1981 site and Content available through the service may contain links to other websites, which are completely independent of e1981. Dino Direct makes no representation or warranty as to the accuracy, completeness or authenticity of the information contained in any such site. Your linking to any other websites is at your own risk. You agree that you must evaluate, and bear all risks associated with, the use of any Content, that you may not rely on said Content, and that under no circumstances will Dino Direct be liable in any way for any Content or for any loss or damage of any kind incurred as a result of the use of any Content posted, emailed or otherwise made available via the Service. You acknowledge that e1981 does not pre-screen or approve Content, but that Dino Direct shall have the right (but not the obligation) in its sole discretion to refuse, delete or move any Content that is available via the service, for violating the letter or spirit of the TOU or for any other reason. e1981 and the materials contained therein are provided without warranties of any kind, express or implied. Your expressly agree that use of the site, including all content or date distributed by or, downloaded or accessed from or through the site, is at your sole risk. e1981 does not represent or warrant that materials in the site are accurate, complete, current, reliable or error-free. e1981 is not responsible for typographical errors or omissions relating to pricing, text or photography. We can not and do not represent or warrant that the site or its server(s) is(are) free of viruses or other harmful components, including content that is posted by third parties. You should use industry-recognized software to detect and disinfect viruses from any download. The site and its services are not directed to, and not intended for the use of children under the age of 13. If you are under the age of 13, please do not submit any reviews of products or services or any personal information to the site or the Review Service.